Spring weather always inspires me to introduce a little playfulness to my wardrobe. Accessories with a little pop of color add some effortless fun to your look without breaking the bank. These sweet little scrunchies are made from upcycled fabric scraps by Millie and Lou. I love pairing these little guys with a simple white tee and jeans to add a pop of color to my look. These beautiful hair clips are made with eco friendly acetate by Foe and Dear. The material originates from wood pulp and can be used as an alternative to resin or acrylic, which is harmful for the environment. Having just planned a wedding in 5 months, I wanted to gather my best advice and a few tips I’ve learned along the way for anyone who might be interested in planning a conscious wedding. First of all- congrats! You get to plan your day and it can be anything you want it to be. Spend some time on Pinterest and instagram and come up with a mood board for your wedding and use it as your guide. We made a mood board for our cake, flowers, reception and even some photography we liked. It ended up being a super useful tool to share with vendors, and a reference point for us to make all those little decisions like what kind of holders to get for our table numbers. Be ok with breaking tradition. If there’s something that you could do without-do without it! Simple is better, less stressful, and less costly in the end. Figure out what budget works for you and your S.O. and decide what is most important to you both. Decide one thing you want to splurge on, and then be ok with conserving on some other things. Is it the perfect location for a venue? Is it a certain restaurant that you want to have catered? This way, you won’t feel like your skimping out on everything and you won’t kill your budget. Find a few key things that are super overwhelming to you and ask your S.O to take care of them. When you find a venue and date or made a big payment, go out for a drink or have dinner. It’s so important to celebrate along the way and enjoy this time together! Make the Most Out of Your Wedding Website! We wanted a quick engagement and set our date for the fall of this year after getting engaged at the end of may. This meant we had to move quickly on our planning. Our first priority after setting our date was to set up our website so we could share the details quickly with our friends and family. We decided to use our website as our “Save the Date”. Once we got our engagement pictures- taken by our dear friend Thi Lam- we found a wedding template on https://www.squarespace.com/templates/wedding and used it as a guide. To keep our lives easier, we added our Registry, honeymoon fund, and RSVP page to our website. We used myregistry.com which allows you to add any item from any brand- and it’s free! You just download the app and can literally add items from your phone. highly recommend. 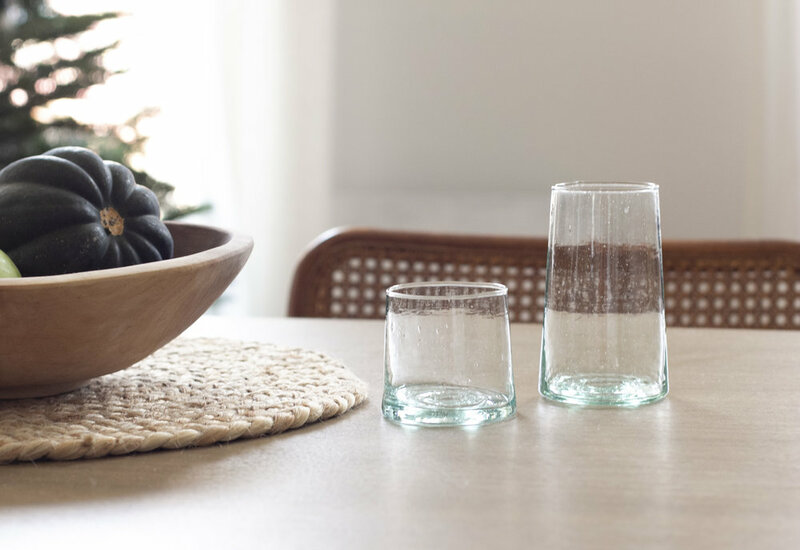 We added items to our registry like bamboo fiber mixing bowls from Food 52, kitchen cleaning tools from Package Free Shop , and olive wood serving bowls from The Connected Goods. Having invitations designed and printed can be super expensive. Not to mention if you want to do placecards, menus or table numbers. If you want to use paper for your invitations, it’s a lot cheaper to design it yourself (or ask a friend) and upload your own artwork. Paper Culture allows you to upload your own and also has some great designs for inspiration! Placecards, table numbers and menus get a little trickier but I found some beautiful seed paper on amazon, designed them, and printed them on the printer at my parents house (lol). We wanted a confetti exit after our ceremony but since our ceremony was outdoors, our venue wouldn’t allow it -understandably. I thought to google biodegradable confetti and found EcoFetti! It’s a water-soluble confetti made from blown cornstarch. It breaks down quickly when exposed to water and is harmless to plants and wildlife. For our rehearsal dinner, we did a casual outdoor family BBQ catered from a local BBQ spot. Instead of using single-use plastic cutlery and serving utensils, we ordered bamboo cutlery, serving utensils and plates- all on amazon! Here’s what we used. Finding the right vendor can be tough and extremely overwhelming. My advice is start small. WeddingWire.com is an amazing resource to help you find local vendors and small business owners. They have detailed reviews and sometimes include cost estimates- yay! Use your budget to bargain and pick up the phone! Being open and honest with people always helps. If you give them your budget, most likely they will work with you! We found a local woman-owned bakery in the nearest small town to do our cake. She makes each cake herself and it was the best wedding cake I’ve ever had. Small business owners are usually entrepreneurs and extremely passionate about what they do! We found both our wedding photographer and videographer in Instagram just searching hashtags! @kayla.snell and @littlegrayfilms_co are both incredibly talented and lovely people. Investing in small business owners was so worth it for us- they were all delightful to work with and eager to go the extra mile to make our wedding day truly amazing. I recently stumbled on Above Studio, a small business supporting artisan villagers in rural Thailand, and was immediately drawn to the tasteful and beautiful designs of their handwoven bags. 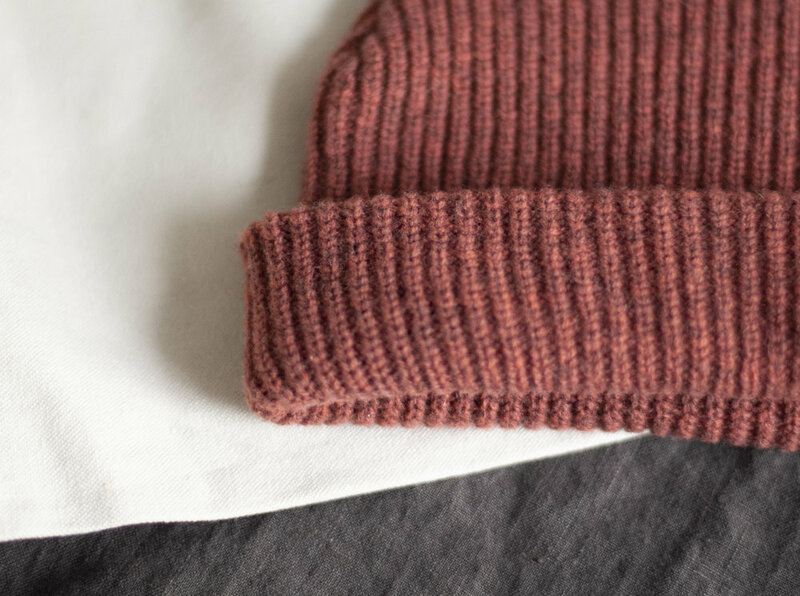 Sommy, the founder of Above Studio, grew up near Bangkok and works with artisans in three different villages, providing them with work in their off-seasons after the harvest. Sommy has a passion for providing economic empowerment to Above’s makers, improving their local communities, and upholding sustainable environmental practices in her production process. Scroll through for my interview with Sommy! What inspired you to start Above Studio? Ever since I found the hidden beauties of handcrafted products from local villagers, I want to be the one who help connect their extraordinary weaving skill to the world. 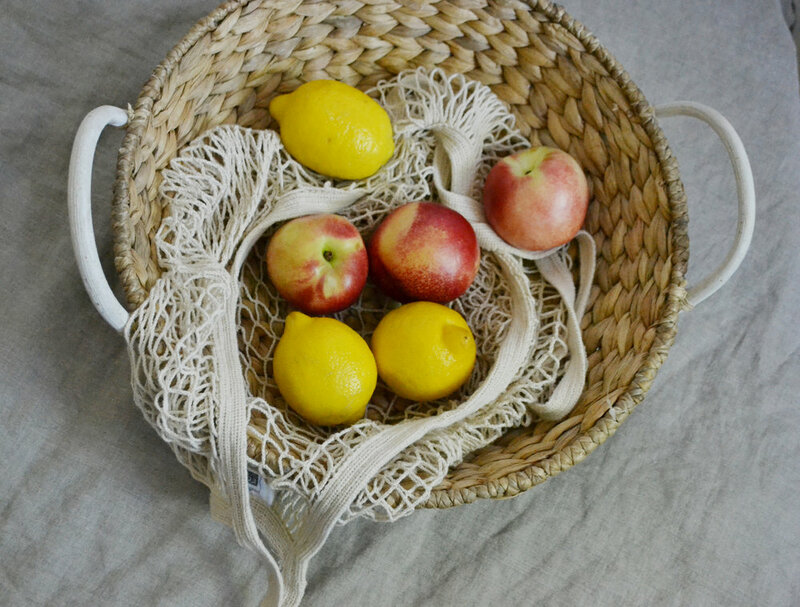 Their woven baskets are so durable and neat. I came up with an idea of designing products that I like and making orders to them. Lastly, I always want people to experience our unique culture from my home country and, at the same time, to help local villagers improve their quality of life through their skills. How many artisans work on your pieces? I create the designs and patterns and sourcing the natural materials together with locals. After that, I pass them the patterns, designs, colors, and then the local artisans will weave the bags for me. How are the bags made? Do you use natural materials? The process takes more than a couple months to preparing the material for weaving. Dedication and passion are what make this work special and unique! How do you incorporate sustainability into your business? Sustainability is the number one objective of Above’s business. Furthermore, it is very important to make sure that the work we do makes an impact to these local communities, helping them create a sustainable environment and long-term economic growth. Tell us about the artisans-how does Above empower them and help them build their lives? Every product sold contributes back to the local communities and aids whatever the local people need. For example, clean water and the local school’s needs, in order to help our community to create a better and more sustainable life. As I became passionate about ethical fashion, it was only a matter of time before I started to become more curious about living more sustainably in my day to day life. I found that there are so many amazing leaders in the zero-waste space (like one of my favorites, Lauren Singer of Trash is for Tossers), but the idea of actually living zero-waste was seriously intimidating. For someone like me, who was interested in living greener, but not totally ready for a radical lifestyle transformation, i wondered: Where do I even begin? Soon I realized that there are actually a few small changes I can make in my lifestyle that significantly reduces my waste! Every change I’ve made I consider a huge step forward towards living waste-free. I’ve listed a few simple lifestyle changes that I think are super achievable for those of us who are interested in living more sustainably! Buy your grains in bulk from stores like Whole Foods, use reusable shopping bags and produce bags for your produce items! For household items that you use a lot of like hand soap, dish washing detergent, and laundry detergent, try buying a non-toxic brand like Mrs Meyers in bulk. When you’re shopping, ordering a bagel, or buying groceries- skip the plastic bag if you can! I like to keep a canvas tote in my bag for these occasions. I noticed that most places bag EVERYTHING, even small items like a pack of gum. The denim industry is one of the highest consumers of water in the fashion industry. Every step of the process to create a pair of jeans requires water. From the cotton fields to manufacturing facilities to the finishing process, it takes over 2,500 gallons of water to create a pair of finished denim. For those of us who love a good pair of jeans but don’t know where to look for more sustainable options, I wanted to highlight a few brands that are changing the game in sustainable denim. Amour Vert was founded on the belief that great fashion and social responsibility can coexist. Their name means Green Love in French. Amour Vert stands for American manufacturing, non-toxic dyes, sustainable fabrics, and uphold a zero-waste philosophy. They use organic cotton, ethically made in California, hand-crafted denim, and 1/10 if the typical water use to produce their jeans. Reformation is committed to cleaning up the denim production cycle. Reformation Jeans uses deadstock and other sustainable fabrics for their denim pieces. According to Reformation, their production process for one pair of jeans saves an average of 1,468 gallons of water. Reformation goes a step further with their Wet Program, cleaning a thousand gallons of water for every pair of jeans you purchase, starting with the San Gabriel River in California, in partnership with BEF and the National Forest Foundation. Levi’s Water<Less™ program reduces the amount of water used in the finishing process by up to 96%. Their innovative approach simply removes water from stone washes or combines multiple wet cycle processes, allowing Levi’s to significantly reduce water usage. Everlane partners with their denim factory which recycles 98% of its water, uses clean solar energy, and repurposes their denim waste to make bricks for affordable homes. The factory’s unique closed system recycles 98% of all water used with their super-efficient jet washing machines and when it comes out the other side, it’s so clean you can drink it. All denim creates a toxic byproduct called sludge. Everlane's factory takes it and ships it to a nearby brick factory, and mixes it with concrete so it can't leech into the environment. The bricks are then used to build affordable homes. So far the factory has built ten! In light of Fashion Revolution Week and the five year anniversary of Rana Plaza in Bangladesh, I wanted to highlight Apolis’ efforts in empowering artisan women in Bangladesh, through their partnership with Saidpur Enterprises. Bangladesh’s clothing and textile manufacturing business is notorious for their oppressive working conditions in their garment factories. Saidpur Enterprises decided to do things differently by choosing to empower their workers, providing them opportunity rather than oppression. Saidpur works with 75 artisan women who hand craft beautifully made jute market bags. The women receive Fair Trade wages, annual profit dividends, and a retirement fund. With 180,000 bags and counting, Apolis and Saidpur Enterprises are creating opportunity for their entire supply chain - from farmers to manufacturers. The perfect carrier for picnics, trips to the farmer’s market, or an afternoon at the beach, the Market Bag has a waterproof lining and a personal pocket built into it. Check out Apolis’ video below of the inspiring story of Mohammad Ghayassudin, General Manager of Saidpur Enterprises. We’re taking a moment to talk about the actual benefits of essential oils and their positive effects on our brains, emotions and mood. Vitruvi makes 100% natural non-toxic essential oils at a sweet price point. Check out our interview below with Sara, the Cofounder of Vitruvi! Vitruvi is the first direct to consumer essential oil company created by siblings Sara and Sean. They created Vitruvi from a passion for botanicals and traditions of cultures around the world with the goal of providing a little much needed self care to the lives of people during their modern hustle. Sara was working in Kenya setting up women’s health clinics and alternative income projects when she became passionate about global health practices and wellness rituals. Sara and her brother started blending their own products, taking botanicals and oils that have been used traditionally for centuries and redesigning them in a modern way to create pure and 100% natural non-toxic essential oils. Scroll down for the interview with Sara and some of her secrets tips and tricks for using essential oils in creative ways! What are the benefits of essential oils? How do they work? We created a scent for waking up, for working, for meditating, for sleeping which meant that no matter how much someone was traveling, or how hectic her day was there was a grounding moment with a scent that was designed to associate with that ritual. Beyond that, they also have absolutely amazing chemical properties that make them helpful for creating your own skincare, home cleaning products and goods that are friendly for yourself and the planet. Vitruvi oils are designed to help you create rituals that help you rebalance, refocus, and create a little peace in the chaos. What are some ways we can do this? I wake up with Geranium using the oil on a face cloth each morning with warm water to wipe my face. This aroma has become the ‘aroma of my morning’ regardless of where I am in the world. It’s a little bit of home. When I think Spring, Geranium is definitely the first scent that comes to mind. Our Geranium Essential Oil is sourced from Egypt and helps keep skin and hair glowing, while giving off a floral and slightly minty aroma. Geranium helps with hormonal changes, and balancing the skin. Our Bergamot Essential Oil is cold-pressed in France from the peel of the citrus fruit. Best known for creating the deep aroma of earl grey tea, this multi-use oil has a comforting, yet fresh scent. Add 7 drops of bergamot oil to a bath to create a cozy yet fresh evening bath this Spring. Essential oils can be used as a natural alternative to harmful household cleaning supplies, do you have any recipes you could recommend? I absolutely love the fresh scent of Lemon, and use it quite a bit in my laundry, or in my kitchen! Add 5 drops to a fresh cloth and put in your clothing dryer to freshen up your towels as they dry. It also works great to help with cleaning up your dishes! Add 8 drops of lemon EO with your soap, directly to your hands or to pots and pans while they soak to help cut grease. Sourced from Italy, our Lemon essential oil is extracted by cold-pressing over 200 lbs of lemon rinds. Lemon is associated with uplifting emotions and a sense of order and cleanliness. Spruce is fantastic to deodorize your rooms. Great for the office or creative environment, you will feel alert, clear and productive, simply blend with Lemon or our Boost Blend to create an effective blend. Our Spruce Essential Oil is dynamic and woodsy. Extracted from Spruce trees in Austria through steam-distillation, this oil is known for its fresh, yet grounding aroma. Aside from diffusing, what are some other practical tips for using essential oils? Sweet Orange has a wide range of uses from cleaning your dishes to brightening your skincare routine. As you may or may not know, citrus can be super refreshing and invigorating for the skin. So, in the AM, try adding 2-3 drops of Sweet Orange essential oil to your current face moisturizer for a little extra glow. Vitruvi Sweet Orange essential oil is certified organic and is extracted from the peel of Italian oranges. It's great for the after work slump, the mid day slump, or just anytime you need a little pick me up! This is from our most recent collection of blended essential oils. Boost is a blend of Bergamot, Grapefruit, Lime and Juniper; it's honestly sunshine in a bottle. I love to diffuse Boost in the morning while I am getting ready. This along with a cup of coffee, helps wake me up, and get my mind ready for the day. It's become part of my morning routine, and if I ever forget to turn on my diffuser, I can honestly notice a difference. This is one of my absolute favourite products! I've swapped it out for my daily perfume, and always have one sitting on my desk.